Gillray's Steakhouse & Bar is situated on the banks of the River Thames with views of the London Eye, Houses of Parliament & Big Ben. This London Restaurant features locally sourced and seasonal produce at its best. We source the majority of our products from within 150 miles of the restaurant using Kent and Essex based farms. Read more about the origin and quality of our meat. 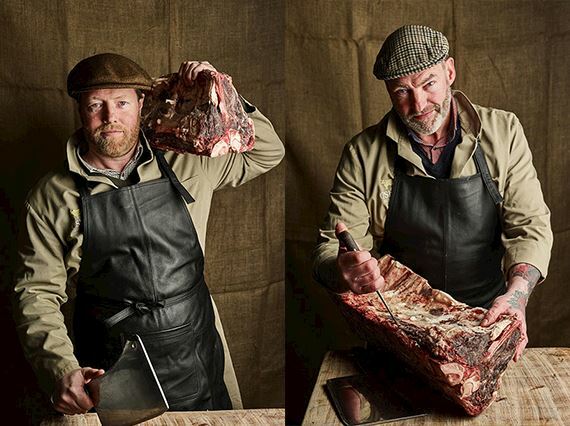 Known for bespoke butchering and ageing, we are proud to work with 8th generation Butchers Darragh and Michael O'Shea. 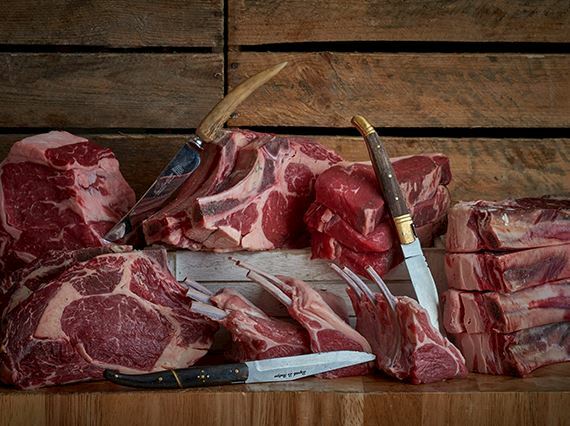 Our trustful butchers select the wonderful free range and organic beef from both South West Ireland and their own farm in Perthshire, Scotland. Fillet Steak - this lean cut is a firm favourite. It keeps its soft texture when cooking and is a delight on the palate. Prime Rib - Half of our Bulls Head steak, a Prime Rib gains its name from being a cut of Beef from the 'primal' rib. It has a small amount of fat and is well marbled. Skirt Steak - It is long, thin and prized for its flavour rather than tenderness, this cut is underused by many and over looked too often. We love this cut for its beefy flavours and excellent chew. 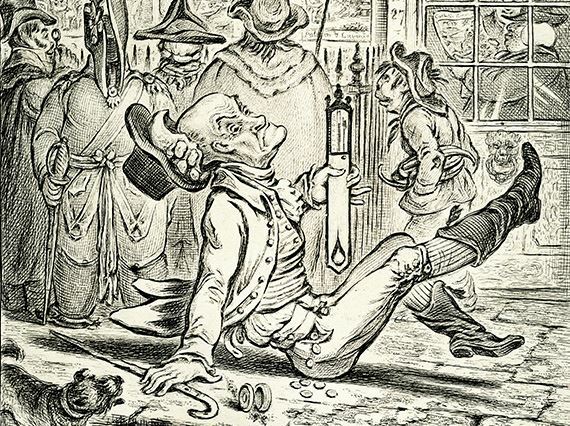 James Gillray was a famed caricaturist of the late eighteenth century. Gillray has been called the father of the political cartoon, with his satirical works calling the King and Government into account. The restaurant and bar reflect the political history of the County Hall's past, and the intelligence, style and humor of the English personality. 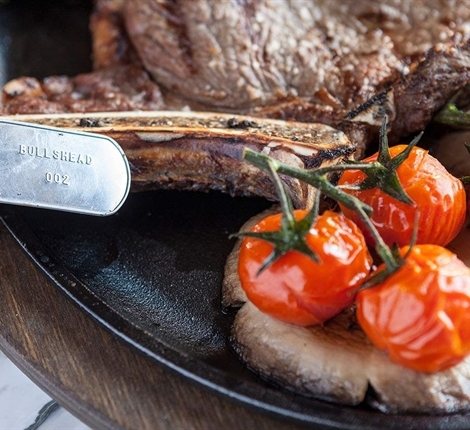 Enjoy a delicious steak whilst perusing some of Gillray's prints adorning the walls.